Each detail deserves recognition! 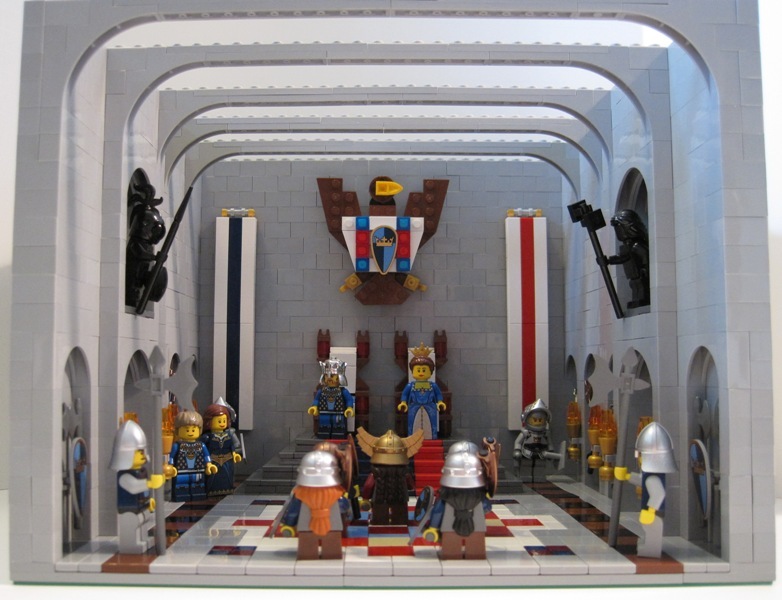 I particularly like floor design, the statues, and most of all–the eagle adorning the wall above the thrones. The thrones and long tapestries look great, I may someday steal those. I’m not so sure about the floor. The stonework looks really busy. I think if you had stuck to 3 colors it would look a little nicer. I am really liking those transparent tiles in the floor though. Soemthing about them really looks mideval to me.